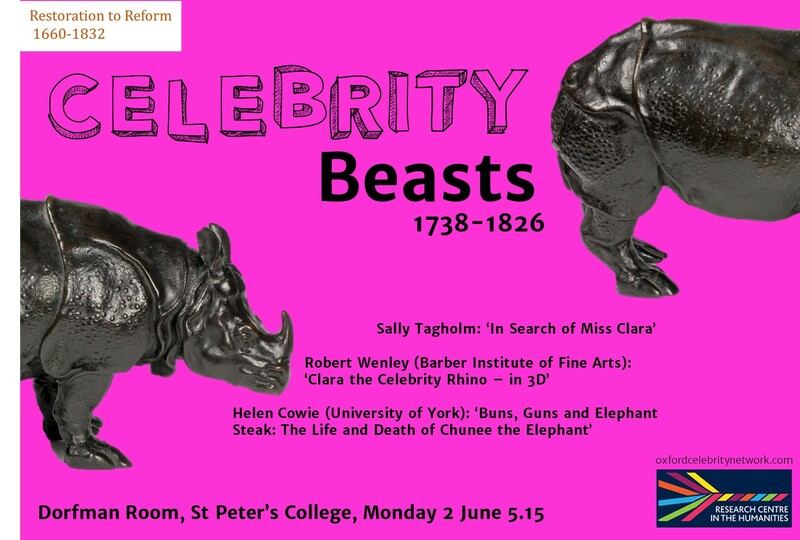 Next week’s Restoration to Reform: 1660-1832 seminar will be on ‘Celebrity Beasts, 1738-1826’. This is an innovative, multidisciplinary talk organised by the TORCH Celebrity Network, and will be followed by further conversation and wine. All are welcome.